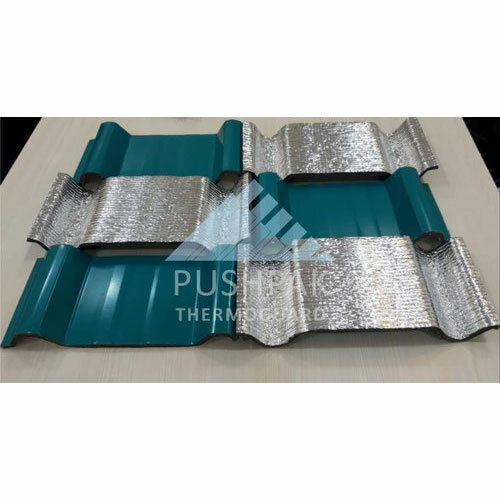 Leading Manufacturer of insulated sheet from Pune. 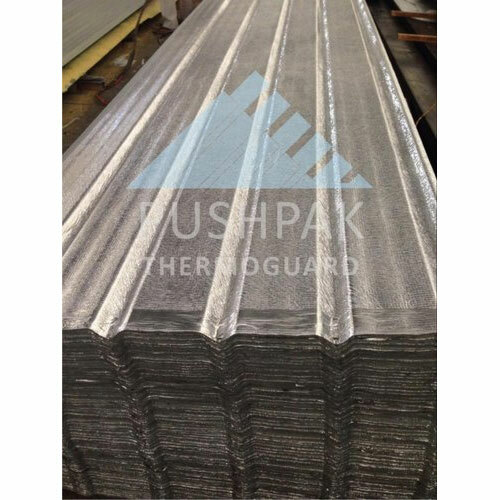 The simplest and easiest way of adding shed insulation is Pushpak Thermoguard sheet. It is a durable, lightweight and resilient material for fast track projects. 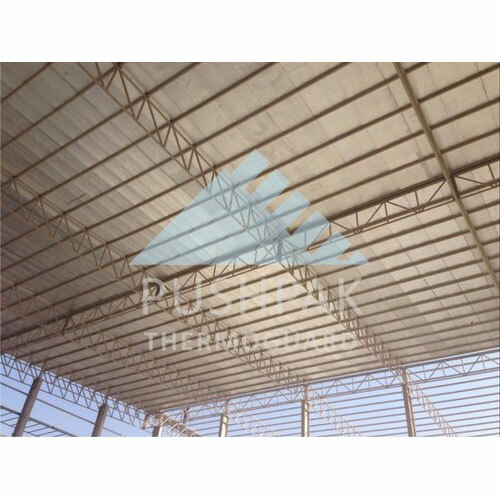 This is one of the cheapest methods of insulation and best solution for costly Sandwich Puff Roof panel. It has PPGI/PPGL sheet attached to PE foam having one sided alluminium foil. 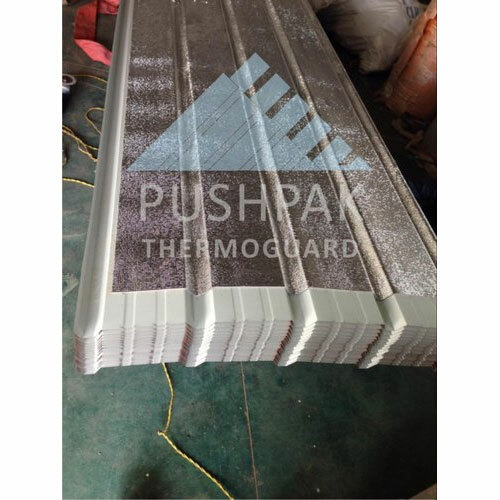 Thermoguard sheet has property of shock absorption and vibration damping. It has reflective aluminium foil which reduces heat transfer by radiation. 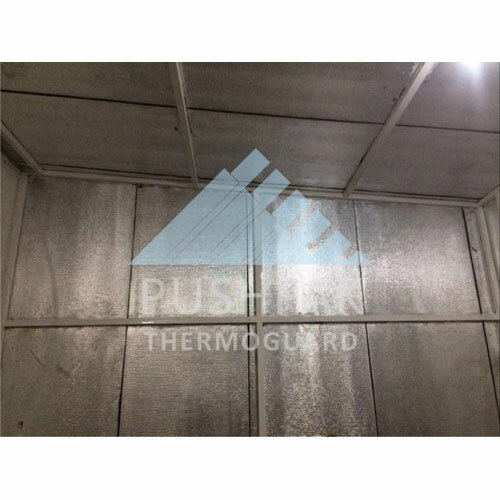 Thermoguard sheet is reliable under every circumstance and it can easily deal with tropical temperatures as well as the frosty cold. 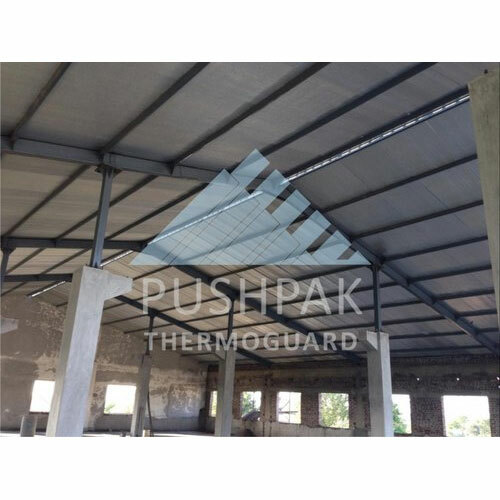 Thermo guard gives you the best quality of roof profile sheet with customised metal properties like thickness, GSM, Yield strength etc. Easy to install. Minimizes labor fatigue. And increases productivity. Increases machine life by reducing heating. Dust, odor, moisture free. Fire retardant. Anti-radiation and anti-vibration. Corrosion resistant. High reflectivity reflects about 97 % of radiant heat and UV rays. Manufacturing units and industrial shades.